Araucaria heterophylla is known by many names. 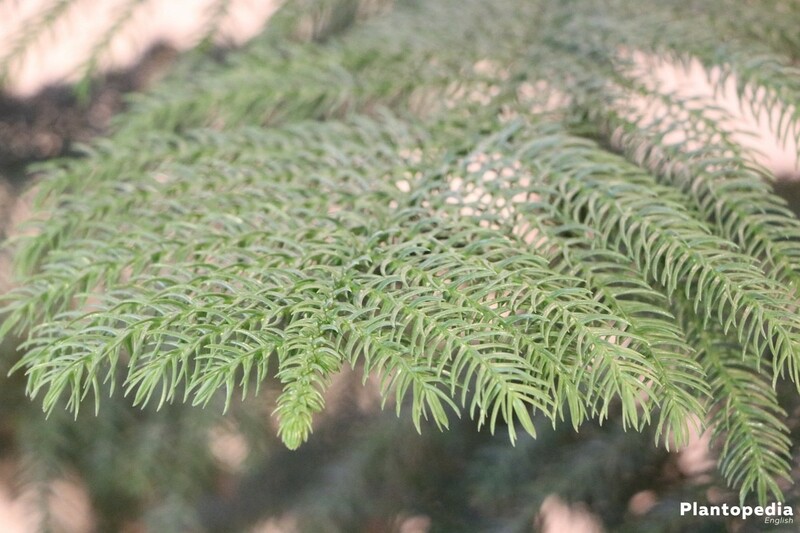 As a norfolk pine or Andes pine it reaches a height from up to 60 m in the wild. 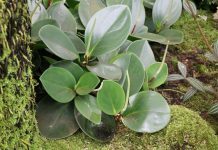 Indoor, on the other hand, the tree with the lively branches only reaches about 1,80 m. The pine has its origin in the Australian Norfolk Island and is relatively one, which doesn´t need much care. Although amateur gardeners, who like conifers should inform theirselves about the right trimming of these trees: Otherwise the pine will grow too high. Araucaria heterophylla raises majestically in imposing entrance halls, extends her branches in representative halls and establishes a clear foundation in well-proportioned living rooms. It is the only kind of Araucaria, which can be cultivated indoor. 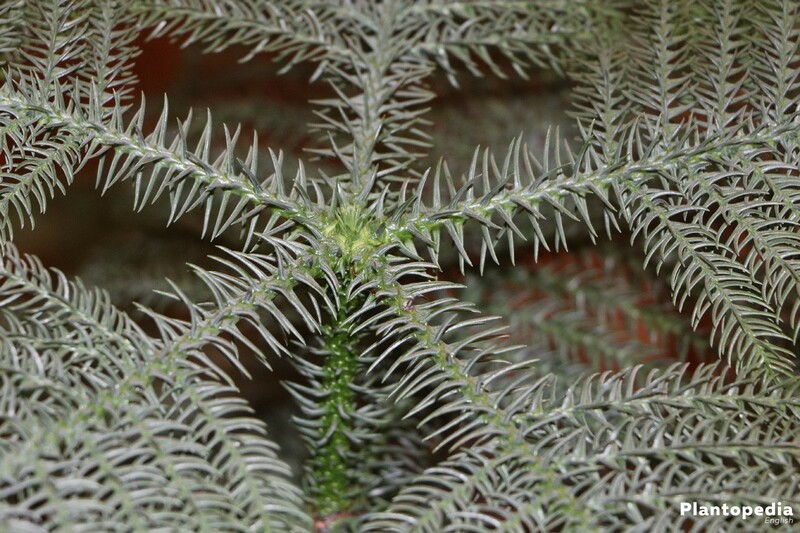 Araucaria heterophylla is regularly cut, an ornament. 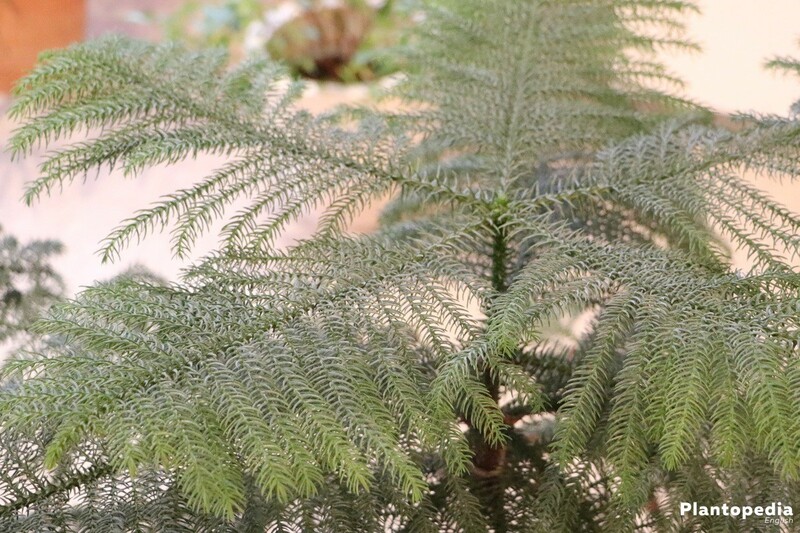 The norfolk pine isn´t that easy-care, it needs a special substratum, needs tob e regularly watered and fertilized. 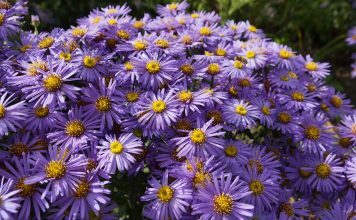 Hobby gardeners, who can arrange themselves with regular care, will nevertheless always have their pleasure in this conifers. In the wild, the norfolk pine (Araucaria heterophylla) grows up to 60 m high. These conifers love the frost-free, mild climate of the australian Norfolk Island, but needs a cool site in winter from 5° C to 10° C. It doesn´t like waterlogging, agrees with short-term morning and evening sun, but prefers most the shadow. 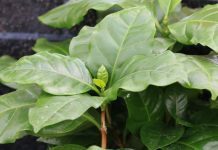 Auracaria needs to be watered and sprayed, and also needs a humidity, which lies constantly on ca. 80%. Behind the astonishing idea of holding a pine in the house, stands a conifer, which is actually very easy to maintain and comfortable to live with, concealing the right proportions in large, bright rooms and bringing a piece of nature into enclosed spaces. The pine, Araucaria heterophylla, does not like direct sunlight, but tolerates a bit of morning and evening sun. Otherwise, a shaded site with enough space is very good. It should be quite bright, because the pine has only something against direct sunlight, it does not need shadow though. It is a problem when the room is heated all year. In the summer, the pine needs a temperature from 18 ° C to 23 ° C, and in winter 5 ° C to 10 ° C. In addition, the fir may have a constant humidity of about 80%, which is difficult to achieve in today’s rooms, which are regularly tempered all year round. 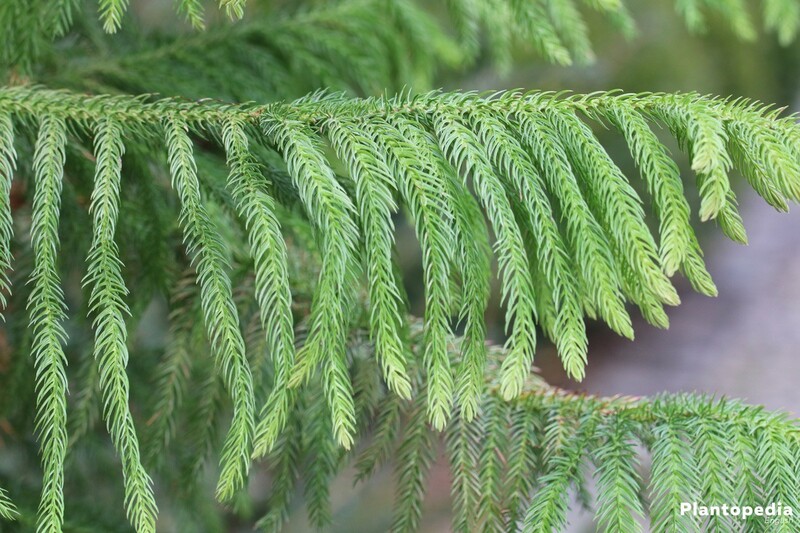 The fir can be repeatedly sprayed with warm water to achieve this. 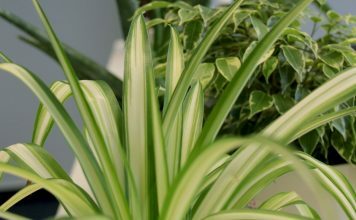 If the temperature is constant at least 10 ° C to 15 ° C, the plant can also be placed on a balcony or porch. However, it is necessary to ensure that Araucaria does not get direct sunlight, especially at noon. 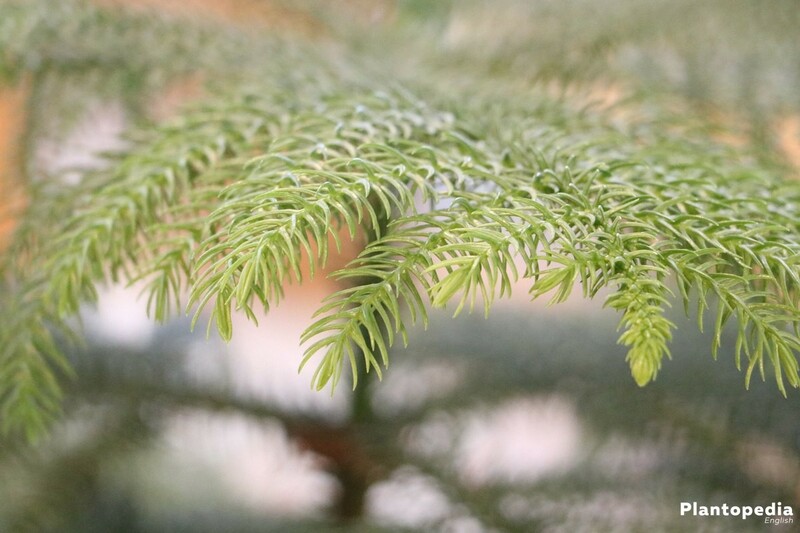 The Norfolk pine grows very evenly when you rotate it at regular intervals around 20 °. The plant does not place great demands of the soil. It doesn´t like it too sour, a pure Rhododendron-soil does not please it. Avoid waterlogging, this is what the pine can not bear. A well-mixed substrate with a little bit of gravel and a support that is filled with rocks and water are very suitable as a drainage system to ensure sufficient supply of moisture both over the earth and in the air. The plant will be kept explicitly indoor, therefore you can only use a substratum freshly mixed in container. You can enrich commercially available potting compost with peat, bog soil or azalea soil. It is recommended to add additionally perlite, sand or pumice to get a good drainage. Because the plant doesn´t like waterlogging. 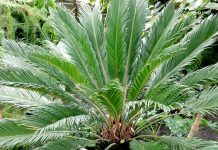 Alternatively you can offer your Norfolk-pine (Araucaria heterophylla) a substratum of garden soil, compost, bark mulch and stone chippings. 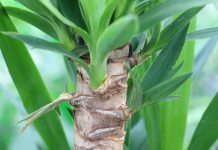 It is important that the pine has enough place in the container to spread her roots in a light sour substratum and that surplus water can flow away. 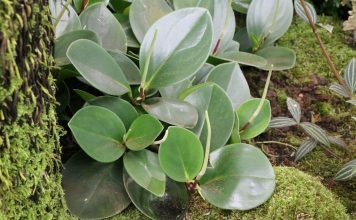 When it comes straight from the garden center or the tree nursery, your plant would like to be planted in a larger pot with fresh substrate. Often, the trees are cultivated in much too narrow cultivation areas, which permanently hinder growth. Suitable buckets with a floor hole as a water run-off system, which is used to drain a drainage of gravel or pumice. 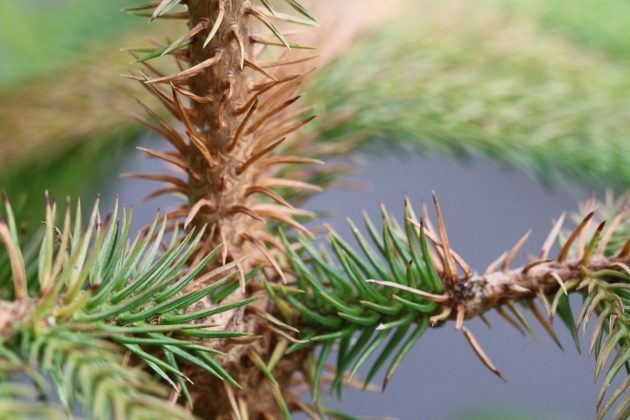 Since the Norfolk fir has to stand frost-free throughout the year and prefers moderate temperatures in the summer, a planting in the bed is not advisable. 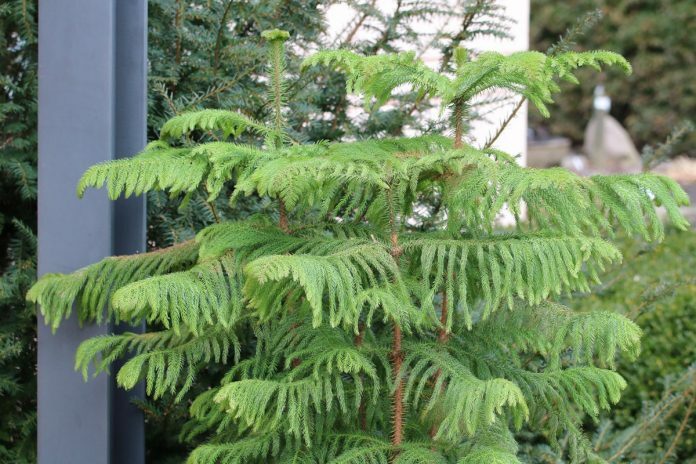 The Norfolk fir is at least in German width a pure potted plant, which has nothing to look for in the free country. 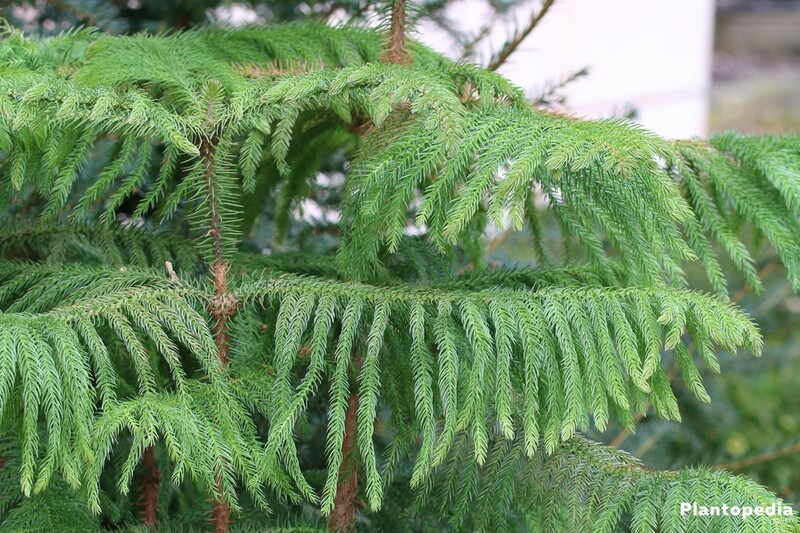 On mild days between spring and autumn, however, the conifers may be placed on their balcony or porch, provided that they can remain in the shade. Because she does not like too sunny locations. Prepare the container as described above. An air- and water-permeable fleece over the drainage keeps the soil out and prevents the drainage from becoming blocked. 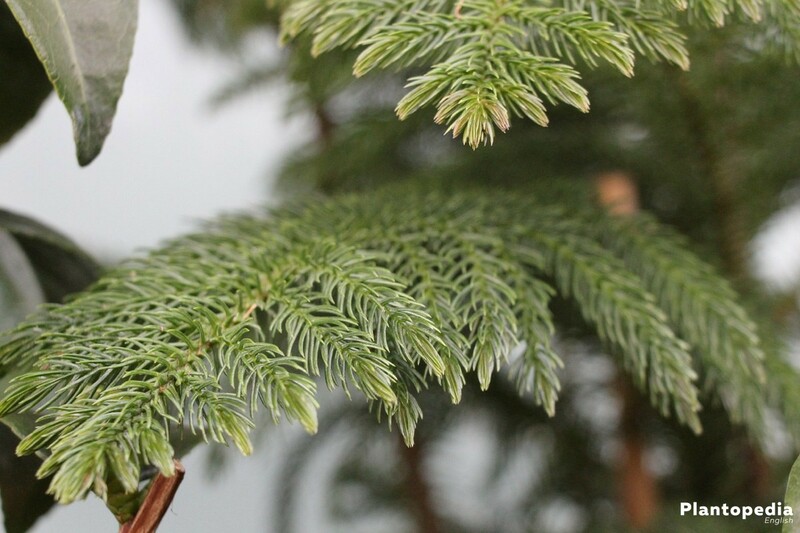 Before placing your Norfolk fir in the newly designed container, the root ball comes into a bucket of water. There he remains so long, until no air bubbles rise. During this process, you spread a layer of substrate over the fleece and drainage in the bucket. On this layer you place your youthful conifers, in the middle of the pot or bucket. Press the ground slightly with your fist again so that no cavities form. Fill in as much substrate as possible, so that your plant is just as far in the ground as before. If you plant them deeper, it may be that the stem rots. Do not fill the pot up with the substrate, but leave a casting edge about 5 cm high. Thus, the water-substrate mixture remains later in the container and does not spill onto the floor.. 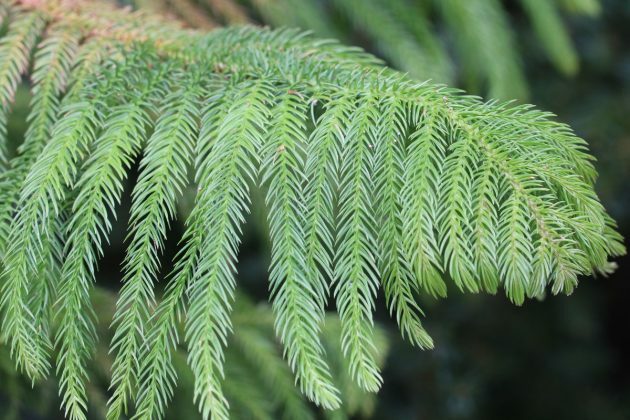 The Norfolk pine (Araucaria heterophylla) comes from a subtropical climate zone, where there are only two seasons: the rainy, mild vegetation phase between April and September, and the cool, dry winter break between October and March. 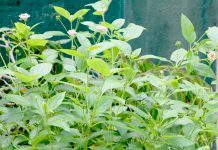 As a hobby gardener, you should coordinate casting and fertilising behaviour: In spring and summer you should water it substantial. 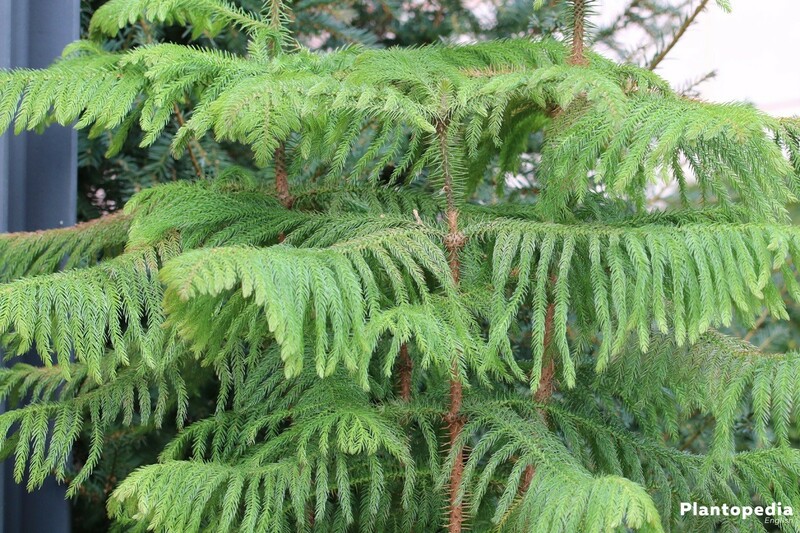 During the main growth phase you should spoil your Norfolk fir every 14 days with a liquid fertilizer. Hobby gardeners swear by Azalea-fertilizer, because this comes closer to the needs of the conifers than the special preparations for firs or other green plant fertilizer. 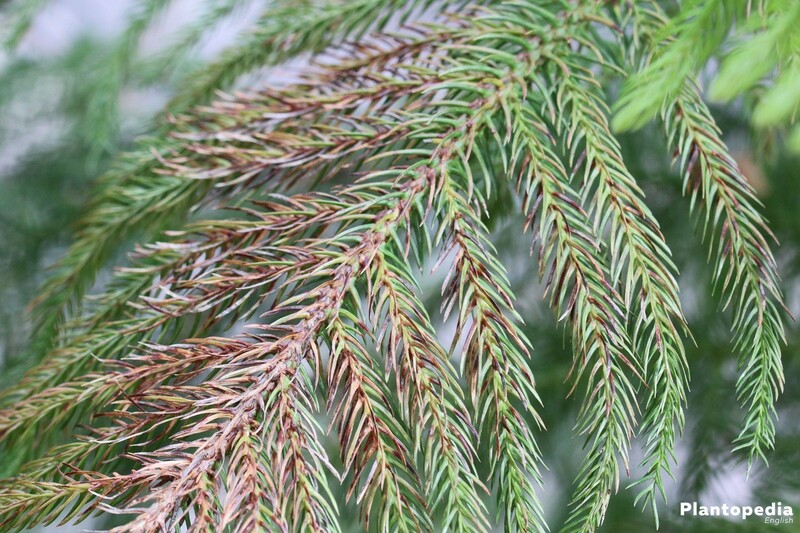 Nitrogen stressed over-fertilization causes the branches of your fir to grow extremely long – this is undesirable and should be prevented. For the long branches are too heavy for the plant and hang limply down. 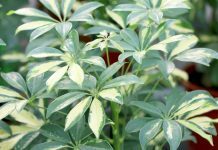 From August on, you should not fertilize your plant so that the shoots can mature for the winter break. Araucaria is a conifer, and like many other conifers, it does not expel from woody parts. Therefore, a cut is quite difficult. Fruit trees and other trees in nature need the regular cut to maintain their vitality and health. 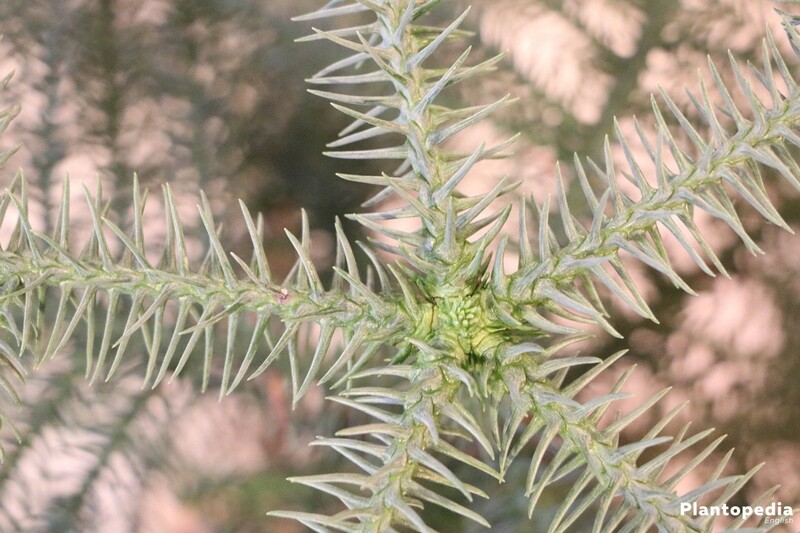 This is different for your Araucaria plants, here the cut is rather counterproductive. There is more advice from the bottom. Trimming means that individual branches are removed except for the ring of branches at the trunk, so that only the crown remains at the top. Too long branches can be derived. To do this, cut the branch of a branch in such a way that the shorter neighbour-branch takes over the function of the point. You should never cut the tip of a pine, but rather the tree from the bottom. Araucaria heterophylla enters the winter phase between late September and early October. Now the conifers should be brought into a room which is not heated in the winter. 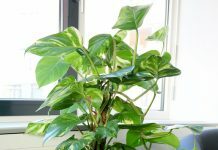 If it is in a normally heated room, the plant has to move. A lightly heated entrance hall, on the other hand, is in order, and the unheated winter garden is also a good place for the cold months. The multiplication of the carpentry is not so simple. If you want to try this, please bring some experience, a lot of patience and a high frustration tolerance with you. Make sure that you only use fresh seeds from specialist trade. Ideally sow in early spring. The breeding pots should be filled with a mixture of peat and sand, and only one seed may be placed in each pot. Cover substrate and seeds with damp sphagnum. In the following time, do not water the plant, because the danger of rotting is very high. 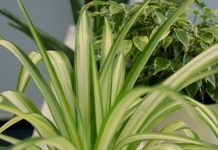 During the summer months you should place the cultivation pots in a shady, well-aired room with temperatures between 18 ° C and 23 ° C. The required moisture is removed from the air, watering is not desired. 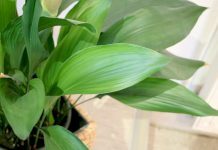 The first small plants that you can winter in the house should be developed by autumn. Temperatures between 10 ° C and 12 ° C are required. Water them as in the case of adult plants: The root ball may not dry out, but only very little is poured. 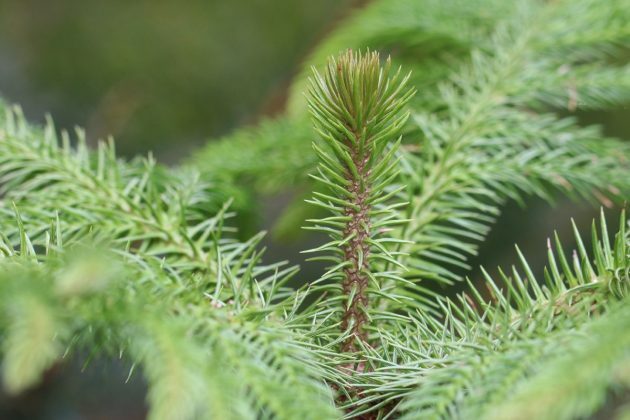 As a rule, it takes about three years for a separate pine to develop after sowing to be treated as an adult conifers. 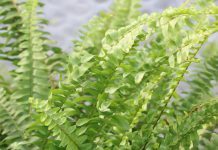 Fill a nutrient-poor substrate into pots with a diameter of 9 cm. The seedling is planted so deep that the knot is directly above the ground. 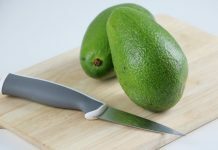 The substrate is moistened with lime-poor water. To maintain the moisture content, you should stretch a transparent film over the container. Keep the temperature constant at about 18 ° C to 22 ° C. The rooting should take place within 2 to 3 months. To prevent mold formation, you should ventilate the film daily. Interfaces do not grow again. As a result, amateur gardeners tend to plant potted plants and cultivate the plants for about three years. At this time, the trailed conifers are large enough to deliver beautiful seedlings. These young seedlings develop within a few months to shapely, youthful Norfolk firs, and the elegant appearance of the firs is not disturbed. 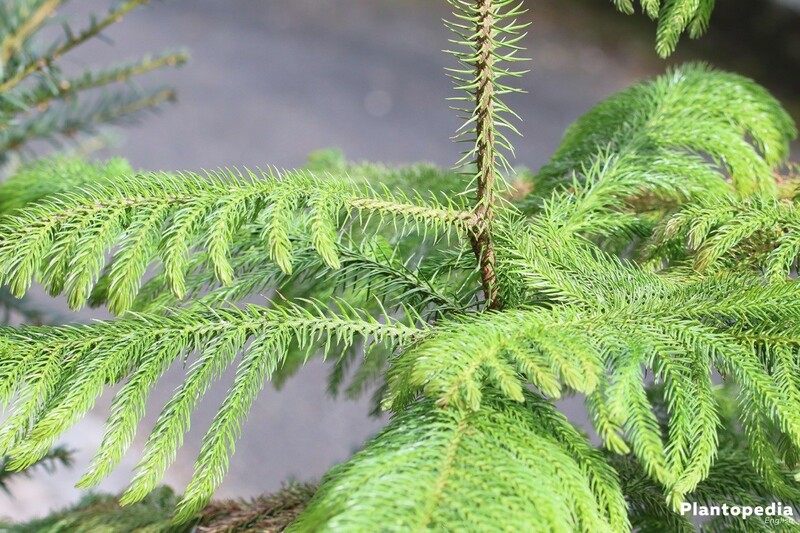 The only important disease, which can infect the pine in the container, is stem rot: From the shoot upwards, a brownish coloration develops, which spreads and leads to the death of the plant. There are bright, small suction spots, and you can find about 1mm large animals and larvae. The so-called fringe wings or bubble feet are rather inconspicuous, not least because of their small size. 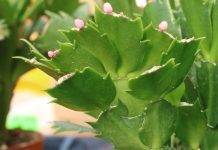 Thripse occur in Europe in many different ways, some of them are only viable in greenhouses. So it may be that your conifers bring the pests already from the nursery school or the garden center, because thripse are only limited in flight, but can jump quite far. They overwinter in the ground and feed on vegetable juices. You will not see mealybugs theirselves. The animals are covered with white wax and sit on the shoots and leaves of the conifers. 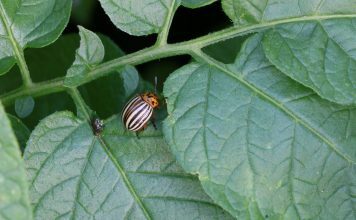 They hardly move, but are often polluted with the honeydew and soot dew fungus. 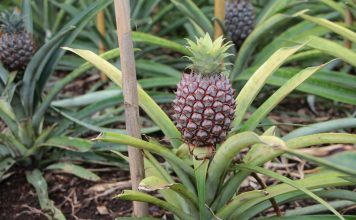 Fighting those mealybugs is only possible with special pesticides that do not damage the plant itself.